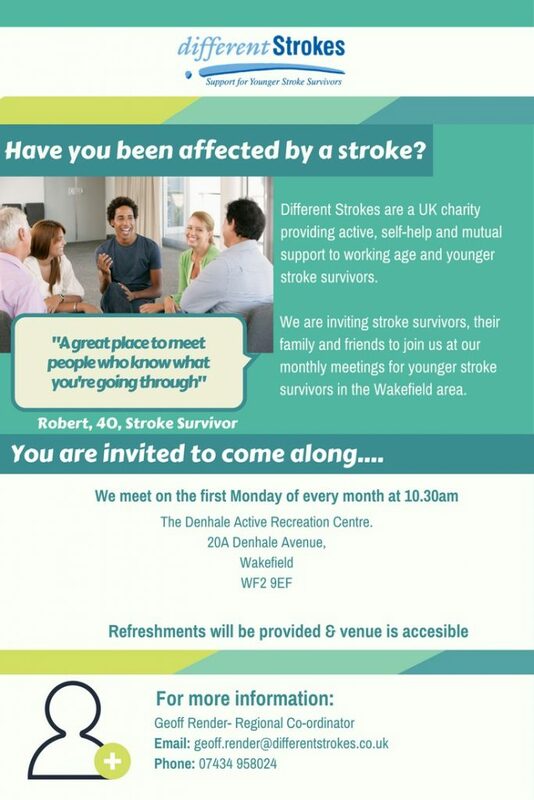 Have you been affected by a stroke? 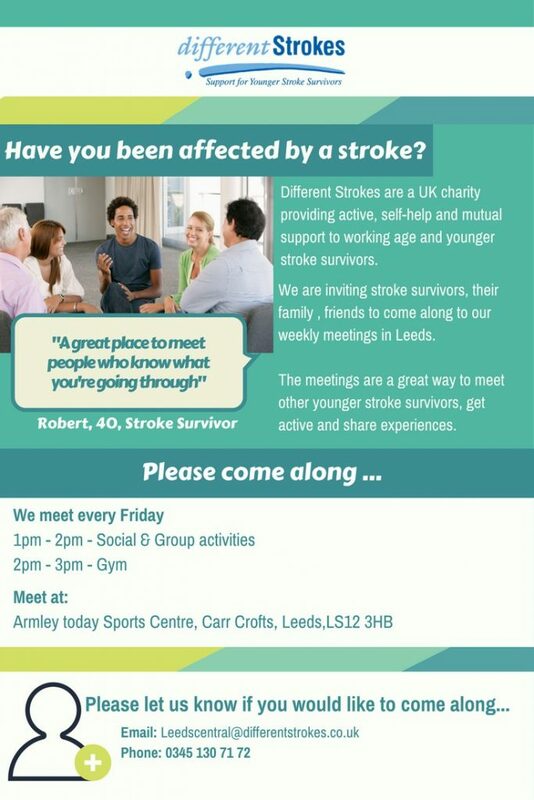 Different Strokes Charity are a UK charity providing active, self-help and mutual support to working age and younger stroke survivors. Different Strokes are inviting stroke survivors, their family and friends to join their monthly meetings for younger survivors in the Leeds, Bradford and Wakefield areas. For more information please see the posters below and contact the groups directly.